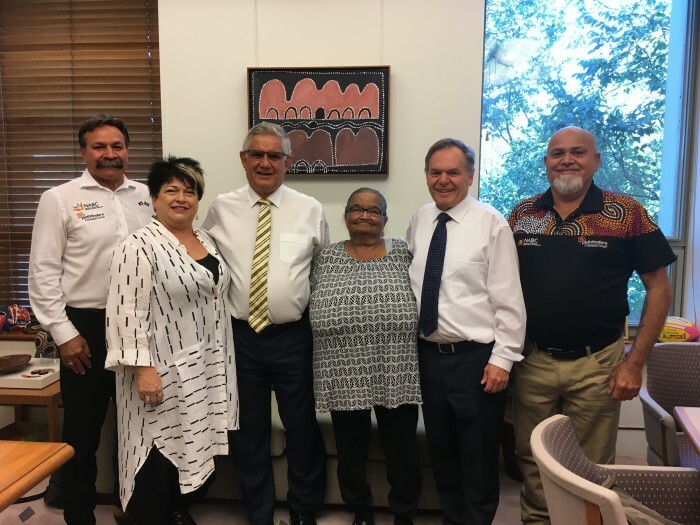 A Pathfinders delegation met with senior members of Federal Parliament last week to promote the advancement of the National Aboriginal Birth Certificate program. CEO of Pathfinders, Alan Brennan, said funding for the initial three-year phase of the program had ended but its continuation was recognised as being important towards closing the gap. “Under the program more than 8000 Aboriginal young people were able to receive their birth certificate which means they can now vote, drive, open bank accounts and enrol in sports and education facilities,” Mr Brennan said. Mr Brennan said the Pathfinders delegation met with the Minister for Aged Care and Indigenous Health, Ken Wyatt, Senator Pat Dodson, Member for Barton, Linda Burnie, and representatives from the offices of Nigel Scullion and Simon Birmingham. “We came away with a strong sense of bipartisan support for the program and are hopeful that we will be able to see the program revived and expanded,” Mr Brennan said.